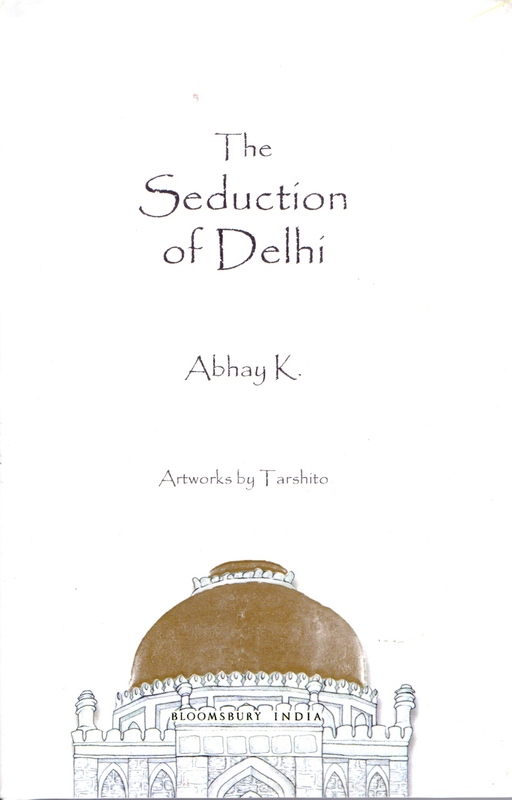 Review: The Seduction of Delhi by Abhay K.
The Seduction of Delhi by Abhay K., Bloomsbury India, 2014. Pg 92, Rs. 299. David Mason’s acute observation in The Hudson Review that “The poetry industry fuels itself on shallow rewards, lines on a resume, praise in a workshop, none of which has anything to do with the solitary effort to write real poems” reflects poorly on the state of poets and the kind of stuff being oozed out in the name of poetry. But there are honourable exceptions like the two poetry collections I read recently—Vita Nova by Louise Gluck and The Seduction of Delhi by Abhay K. The latter is a collection of forty-seven poems. Abhay K. is an Indian Foreign Service Officer and a winner of the SAARC Literary Award. He is the author of two memoirs and five poetry collections. In a unique way in itself, the poet presents his thoughts and emotions in measures exquisite. The well-known Italian artist Tarshito has created the artwork for this book. Abhay K. has indeed adopted a novel method of narration of his poetic thoughts—instead of expressing his musings about his subjects in the first person, the poet allows his subjects to tell their stories themselves to the listeners. That is the reason George Szirtes, winner, T.S.Eliot Prize for Poetry, perceives Abhay K’s poems as poems where “transformations are gentle and humane: the history is deep and lightly worn. This is the beautiful way to be introduced to a great city”.